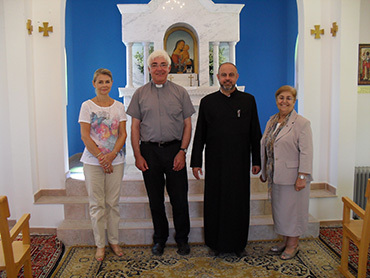 On Thursday the 4th of June 2015, Reverend Gerhard Danker from the Evangelical Church of Westphalia in Germany paid a visit to the Kalaydjian Rest Home, accompanied by representatives of the Armenian Prelature in Cyprus. During his visit, he expressed his admiration for the work done by the Kalaydjian Foundation and pledged to visit the Kalaydjian Rest Home more frequently. 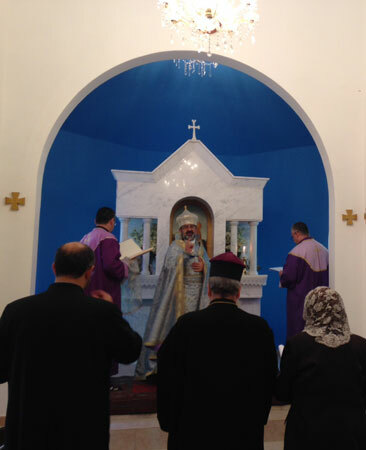 On Saturday the 27th of December 2014 Archbishop Narek, assisted by Father Mashtots and Father Momik, visited the Kalaydjian Rest Home and performed a special prayer service for the new year in the Surb Amenaprkich (Holy Saviour) Chapel. After the service, the Archbishop had a meeting with Roupen Kalaydjian and members of the management committee of the Kalaydjian Foundation. On the 30th of December 2013, the mayor of Strovolos, Mr. Lazaros Savvides, visited the Kalaydjian Rest Home together with local councillors and wished the residents a happy new year. The mayor also discussed with Mr. Roupen Kalaydjian, Chairman of the Kalaydjian Foundation, ways to enhance collaboration between the Kalaydjian Rest Home and the Strovolos Municipality. On the 19th of April 2012 the newly-elected mayor of Strovolos, Dr.
On the 10th of November 2011 Rev. Serop Megerditchian of Aleppo, Syria, visited the Kalaydjian Rest Home to see firsthand the work carried out by the Kalaydjian Foundation. Rev. Megerditchian is the vice-head of the Armenian Evangelical community of Syria. He was accompanied by Hrayr Jebejian, the General Secretary of the Bible Society in the Gulf. 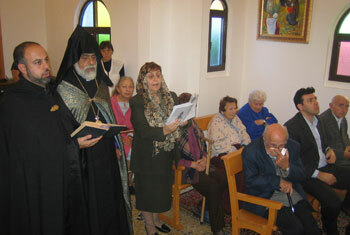 On the 29th of December 2009, the Archbishop of the Armenian Prelature of Cyprus and the Nicosia parish priest visited the Kalaydjian Rest Home and conducted a special Christmas service at the home’s chapel. After the service Archbishop Varoujan and Der Momik wished the home’s residents a merry Christmas and a happy and healthy new year. On the 22nd of December 2009 the Mayor of Strovolos, Mr. Savvas Eliophotou, visited the Kalaydjian Rest Home in order to wish the home’s residents a merry Christmas and a happy and healthy new year. 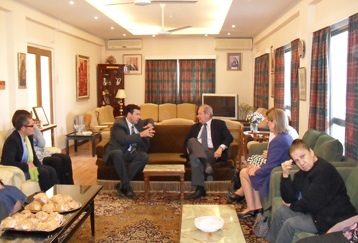 On the 21st of December 2009 the Kalaydjian Rest Home was visited by a delegation of senior members of the ruling AKEL party. The delegation members distributed gifts to the home’s residents and expressed their party’s support for the charitable activities of the Kalaydjian Foundation. 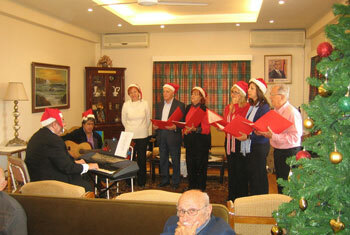 The “AGAPI” Nicosia choir visited the Kalaydjian Rest Home on the 17th of December 2009 and sang Christmas carols for the enjoyment of the Home’s residents. 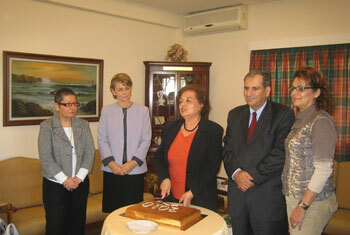 On the 29th of December 2008 the Kalaydjian Rest Home for the Elderly was visited by the First Lady of the Republic Mrs. Elsi Christofia and representatives of the AKEL Party. 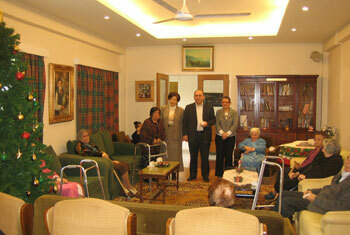 Mrs. Christofia distributed presents to the residents of the Rest Home and wished them good health and a happy new year. 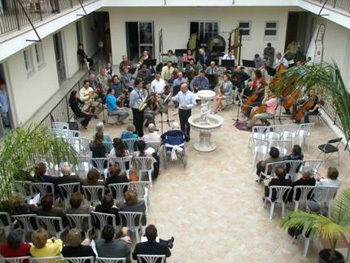 The Cyprus Symphony Orchestra visited the Kalaydjian Foundation on the 9th of April 2008 to perform a concert of classical music for the enjoyment of the residents of the Kalaydjian Rest Home. 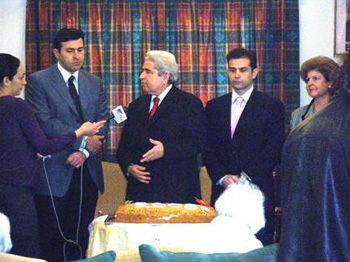 The General Secretary of the AKEL Party Mr. Demetris Christofias visited the Kalaydjian Foundation on the 27th of December 2007 to wish the residents of the Kalaydjian Rest Home a happy new year and to express support for the activities of the Foundation. Mr. Christofias is currently President of the Republic of Cyprus. 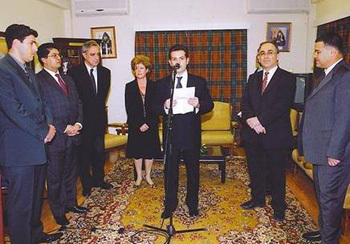 On the 23rd of November 2006 the Kalaydjian Foundation was visited by the Minister of Foreign Affairs of Armenia Mr. Vartan Oskanian and by the Minister of Justice Mr. Davit Harutyunyan. The two ministers made reference to the high esteem in which the Kalaydjian Foundation is held both in Cyprus and in Armenia and wished the Foundation continued success in its humanitarian efforts.